I set out to write a book not so much about the varieties and comparative deficiencies of cars in the Soviet Union as what these objects meant to Soviet citizens. 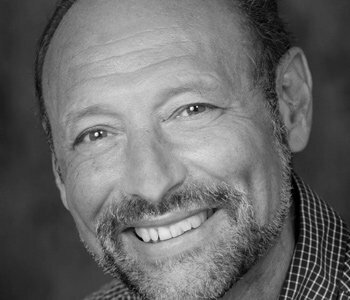 The structure and organizing principles of the book were among the first things to become clear. 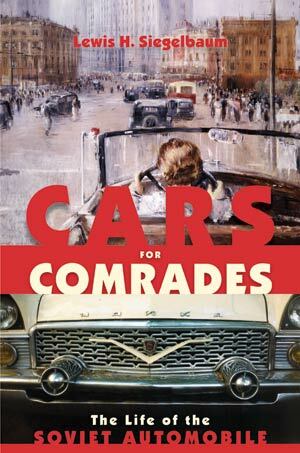 There would be three chapters on the “Soviet Detroits” – the places where automobiles were built, the people who built them, and how the cars and trucks they produced both embodied the state’s agendas and inspired popular identification. I settled on Moscow’s AMO factory (later known as ZIS and still later ZIL) from where the first Soviet-made motor vehicles emanated in 1924; the Gor’kii Automobile Factory (GAZ) that began turning out Model A cars and trucks in the 1930s and later the Pobeda, Volga, and Chaika; and AvtoVAZ, the giant factory built on the banks of the Volga in the late 1960s and early 1970s to produce the Zhiguli, or as it became known abroad, the Lada. These chapters would be followed by one on roads and their construction, the forms of labor relied upon to build and maintain them, and other dimensions of the struggle against “roadlessness.” The final two chapters would tell the story of how Soviet citizens experienced trucks and cars in their daily lives, how Communist ideology eventually accommodated the private automobile, but why cars required a lot of semi-legal or illegal activity to keep them on the road. The book is structured around three axes: foreign and domestic, public and private, and continuity and change. Contrary to Cold War-era assertions, the Soviet automobile industry was neither entirely dependent on nor completely autonomous from western technological developments. It did a lot of copying, mixing and matching, and innovating on the fly. In the 1930s, Soviet highway design and construction emulated Fascist Italy’s autostradas and Nazi Germany’s autobahns but for better or for worse otherwise depended on indigenous inspiration and approaches. Foreign trucks and cars – the pre-revolutionary playthings of the aristocracy, the “Renochka” that the revolutionary poet Vladimir Maiakovskii bought as a gift for his mistress, the legendary Lend Lease Studebakers, the trophy cars that Red Army officers brought back from defeated Germany, Detroit’s finest on display at the 1959 American National Exhibition in Moscow – were icons of a world few Soviet citizens had seen. Yet, Soviet citizens took pride in “their own” luxury models (ZIS and ZIL limousines, Chaikas, etc. ), thrilled to accounts of auto races and rallies in which Soviet drivers heroically overcame obstacles, and for the most part leapt at the opportunity to acquire even the most modest of Soviet models. Actually, even the state’s property – trucks and, until the 1970s, the vast majority of cars – often was appropriated for private or personal purposes by drivers and officials in need of wheels. With the proliferation of privately owned cars in the 1970s and 80s, owners appropriated state supplies of parts and gasoline too. The mutuality of such relationships and the hybridity of forms they produced meant that occasional ruptures in the life of the Soviet automobile did not prevent the emergence over the long haul of a Soviet “automobility.” Many of its features survived the collapse of the USSR itself. The book’s main argument is that the Soviet automobile had to adapt to Soviet circumstances as much as it provoked adaptation. If the particularities of Soviet socialism can better inform us about the history of cars and trucks, then the Soviet automobile can help teach us about Soviet socialism.